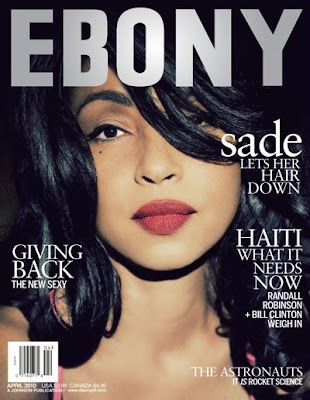 ashlee nicole spills | blog: Sade Covers Ebony. Singer Sade covers the April 2010 issue of Ebony magazine. She looks simple beautiful, and might I add, ageless! If you don't have her latest album, Soldier of Love, you are insane! Cop that thang asap!